Predictions, predictions, predictions: where will property prices go in 2016? Predicting future property prices is a notoriously inexact science, and the experts have had their work cut out for 2016. There are an unusual number of imponderables to be factored into the normal calculations. Interest rates, long unchanged, seem certain to rise at some point in the course of the year or possibly next year. Mark Carney, the Governor of the Bank of England, has made it clear that the current, historically low, rates cannot be allowed to continue indefinitely. But when will rates rise and by how much? And what will be the knock-on effect on house prices? Economists are suggesting that rates may increase at the end of 2016, while the money markets are predicting 2017. Time will tell. Also looming on the horizon, and sure to have an impact, are the increases in stamp duty on second homes and buy-to-let properties announced by George Osborne in his Autumn Statement. The increases will not come into effect until April 2016, which will concentrate minds in the interim. Both the hike in stamp duty and the expected rise in interest rates would normally be expected to slow the increase in house prices, which showed no sign of letting up in 2015. In the twelve months to October, the increase was 9.7 per cent, according to the Halifax – well in excess of predictions at the start of 2015. But any slowdown in price rises may be quite modest. The Halifax expects prices will rise by between 4 and 6 per cent in the course of 2016. Other experts are in broad agreement. The Nationwide (www.nationwide.co.uk) is forecasting a rise of between 3 and 6 per cent, the National Association of Estate Agents (www.naea.co.uk) between 4 and 5 per cent. The most bullish forecast comes from the Royal Institute of Chartered Surveyors (www.rics.org), which predicts a nationwide rise of 6 per cent, with some areas – notably East Anglia, where an increase of 8 per cent is expected – doing even better. Its prediction for London is 5 per cent. If the prognostications are right, bricks and mortar in the capital will remain a sound investment. Are you looking to buy, sell, rent or let? 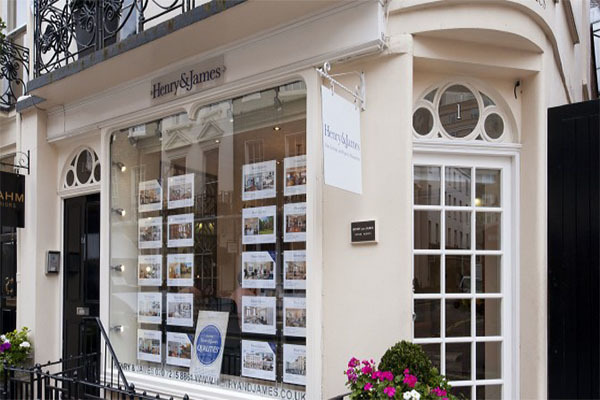 Contact the Henry & James office on 020 7235 8861 or visit www.henryandjames.co.uk.